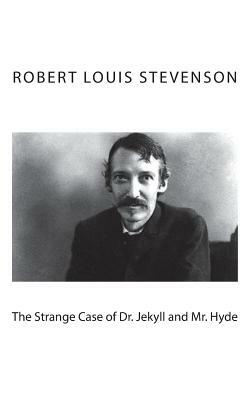 The Strange Case of Dr. Jekyll and Mr. Hyde by Robert Louis Stevenson First published in 1886, "The Strange Case of Dr. Jekyll and Mr. Hyde," is Robert Louis Stevenson's classic tale of man's inner struggle between good and evil. The story revolves around the investigation by John Utterson, a lawyer, concerning the association between Dr. Henry Jekyll and the morally corrupt Edward Hyde, to whom Jekyll has recently willed his estate. Through the use of a magic serum Jekyll is transformed into Hyde which he does so in order to indulge in the darker side of his character. After a time Jekyll finds that he is involuntarily turning into Hyde and must use the serum, which is running low, to turn back. Stevenson from early on in his career was interested in the impact of personality on human behavior and how he could incorporate it into his stories. In "The Strange Case of Dr. Jekyll and Mr. Hyde," we have a classic examination of the duality that exists within man, which is ultimately a tale of the tragic consequences that can occur when the darker elements of one's character are let out. We are delighted to publish this classic book as part of our extensive Classic Library collection. Many of the books in our collection have been out of print for decades, and therefore have not been accessible to the general public. The aim of our publishing program is to facilitate rapid access to this vast reservoir of literature, and our view is that this is a significant literary work, which deserves to be brought back into print after many decades. The contents of the vast majority of titles in the Classic Library have been scanned from the original works. To ensure a high quality product, each title has been meticulously hand curated by our staff. Our philosophy has been guided by a desire to provide the reader with a book that is as close as possible to ownership of the original work. We hope that you will enjoy this wonderful classic work, and that for you it becomes an enriching experience.